After eight weeks of show across four capital cities, the AW19 fashion season finally came to an end on Tuesday. While there was much to be seen on the runway – as Rick Owens sent an otherworldly troupe of horned and modified models out into the world, and Miuccia Prada drew inspiration from Wednesday Addams when it came to her goth girl gang – there was also plenty going on elsewhere, too. 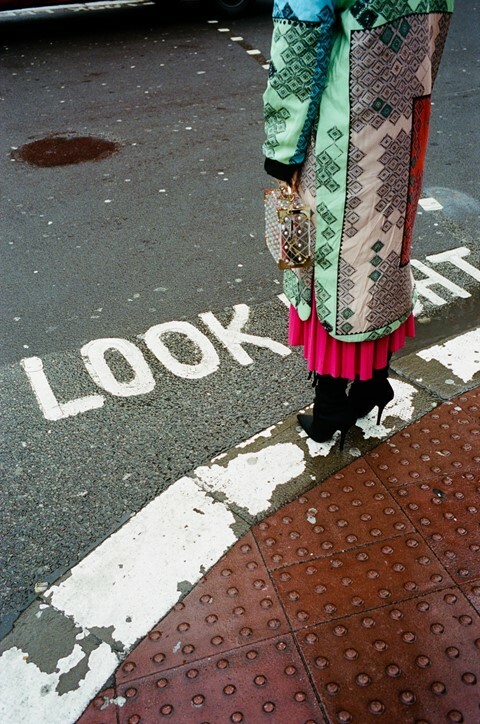 And, as always, our resident street style photographer Yu Fujiwara was there to capture it all. 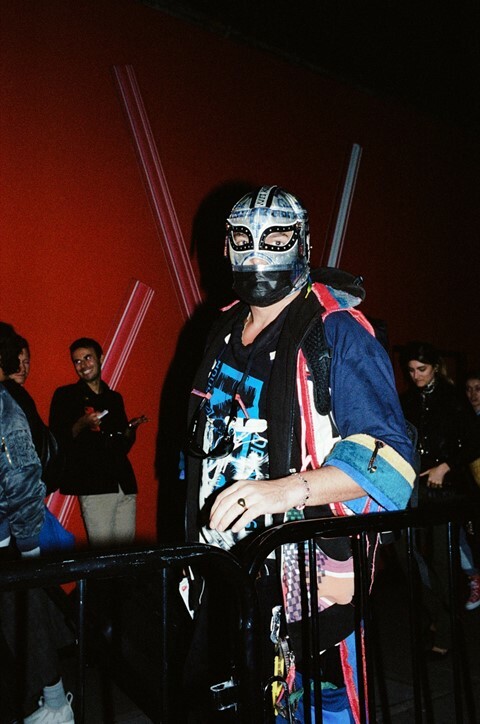 Having snapped the likes of Skepta and Virgil Abloh at the Couture shows, and documented the energy vibrating through New York just a couple of weeks ago, Fujiwara then turned his lens on London Fashion Week, where he captured everything from sculptural, artistic headpieces to a sad, discarded umbrella that seemingly couldn’t hack fashion week. There were also appearances from a couple of your fave 90s movie characters, Titanic’s Jack and Rose, who, after making an appearance on a highly-coveted Vetements hoodie a few seasons ago, were given another #fashun update, this time on the back of one particular stand-out coat. Also on the topic of movies, one attendee served up some serious Avatar vibes having painted every visible part of their body blue. Rounding things off was a cameo from Mona Lisa, whose face was immortalised on the side of a tote bag, and a series of photos which demonstrate the dedication of Fujiwara’s fellow photographers, as many of them huddled under umbrellas and contort into uncomfortable positions to get the (street style) money shot. See all the images in the gallery above.